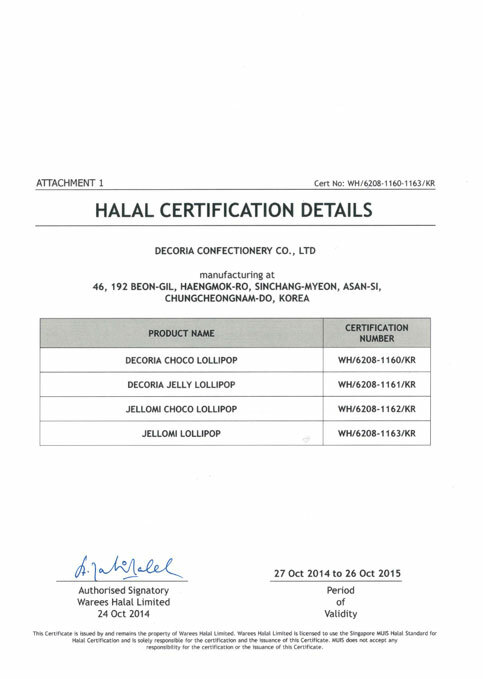 This Certificate is issued by and remains the property of Warees Halal Limited. 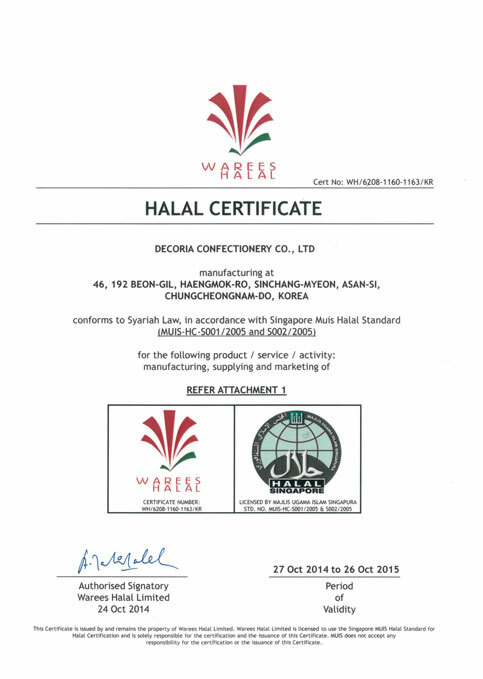 Warees Halal Limited is licensed to use the Singapore MUIS Halal Standard for Halal Certification and is solely responsible for the certification and the issuance of this Certificate. 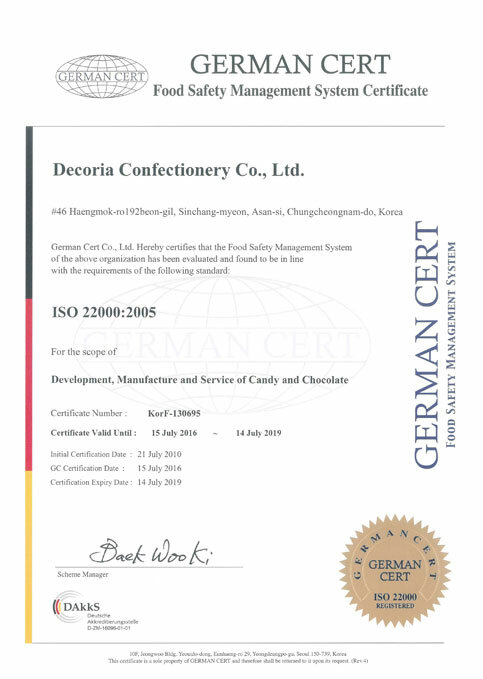 MUIS does not accept any responsibility for the certification or the issuance of this Certificate. 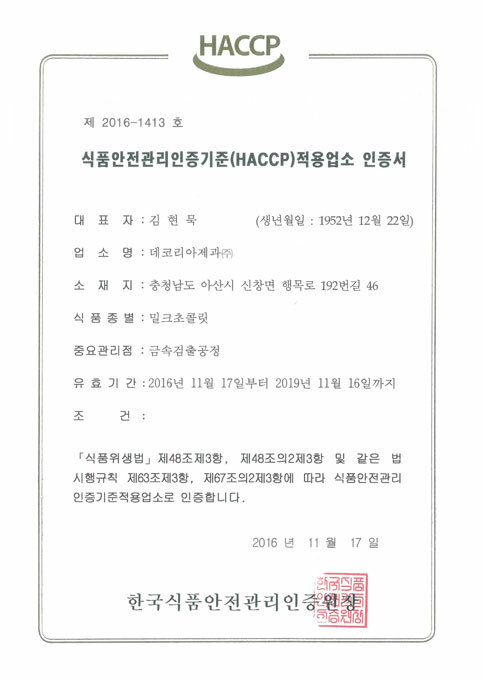 할랄인증 내역 표입니다. 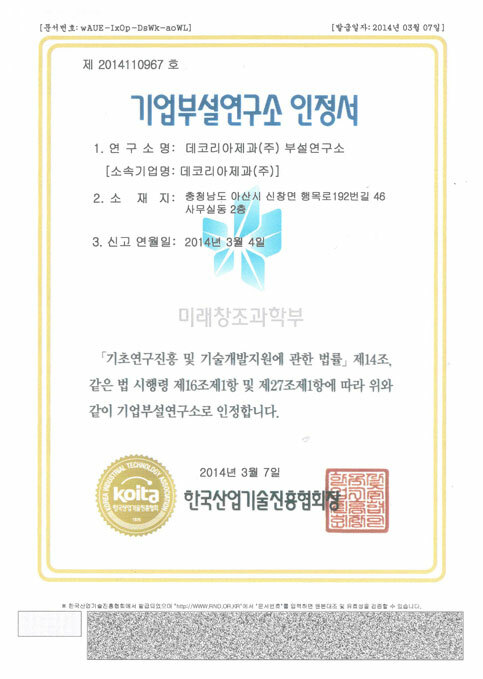 상품명(PRODUCT NAME)과 인증번호(CERTFICATION NUMBER)의 내용을 제공합니다. 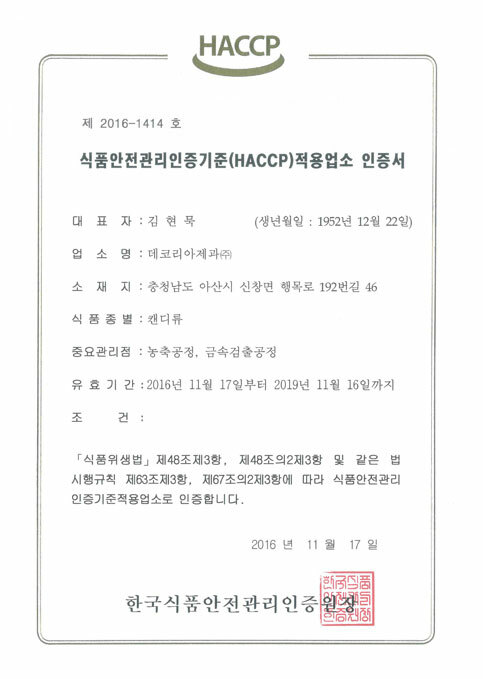 「기초연구진흥 및 기술개발지원에 관한 법률」제14조, 같은 법 시행령 제16조제1항 및 제27조제1항에 따라 위와 같이 기업부설연구소로 인정합니다. 조건 : 「식품위생법」 제48조제3항, 제48조의2제3항 및 같은 법 시행규칙 제63조제3항, 제67조2제3항에 따라 식품안전관리인증기준적용업소로 인정합니다. 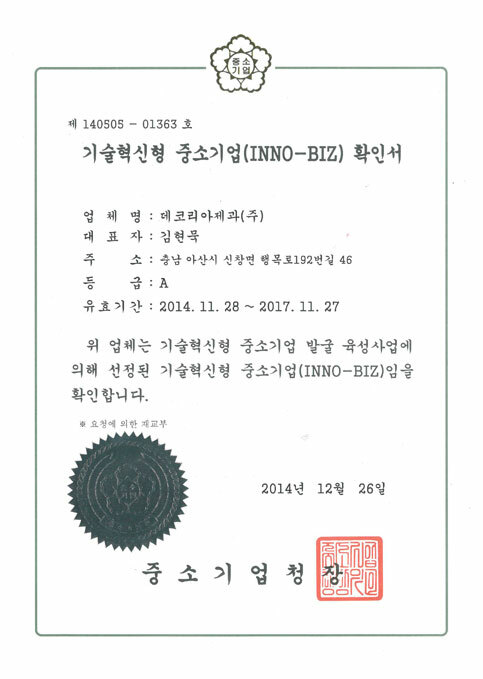 위 업체는 기술혁신형 중소기업 발굴 육성사업에 의해 선정된 기술혁신형 중소기업(INNO-BIZ)임을 확인합니다.